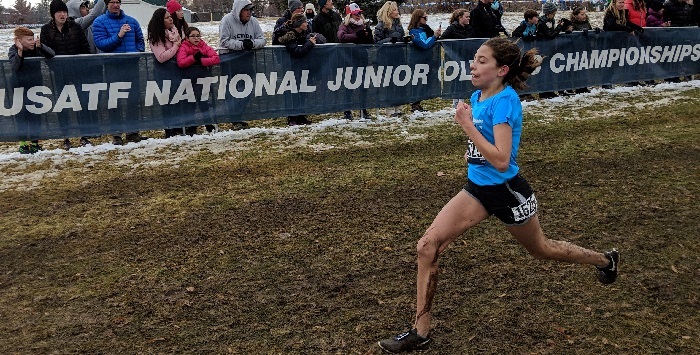 PHOTOS : Sadie Drucker runs through the mud to take third in the 4K race for 13/14-year-olds at the USA Track & Field National Junior Olympic Cross Country Championships. 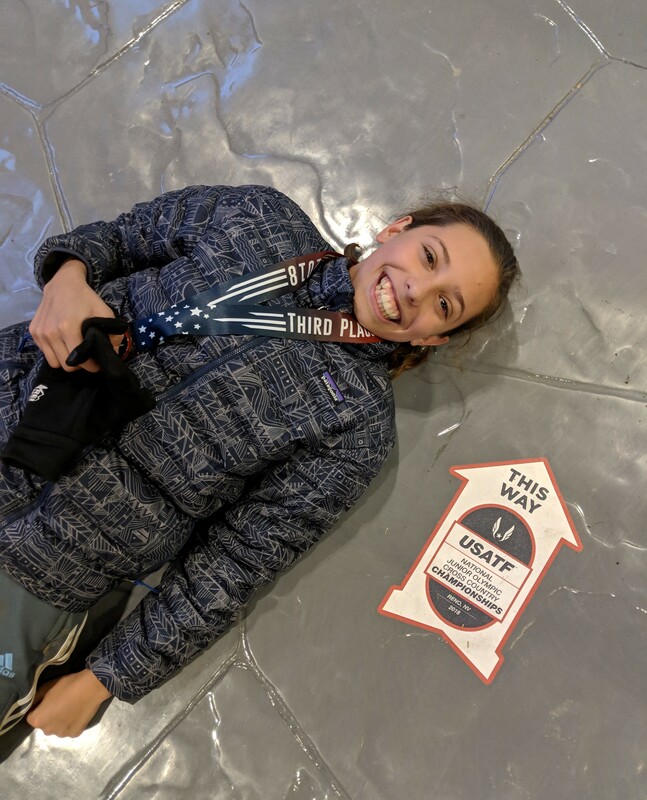 Portland Jewish Academy eighth-grader Sadie Drucker won a bronze medal in the 4-kilometer race for 13/14-years-olds at the USATF National Junior Olympic Cross Country Championships in Reno, NV, Dec. 8. Sadie is the daughter of Andrea Sanchez and Benjamin Drucker. Wearing her bronze medal, Sadie lays on the floor of her hotel next to a sticker directing people to race headquarters. The stickers were on the floors of all three hotels recommended by the race directors. The hotels were connected by sky bridges and covered about three city blocks. PJA Preschool Director and Cross Country Coach Erika Saiers and three of Sadie’s cross country teammates continued to run with her for weeks after the school’s season had ended to help her train for regionals and nationals. This year more than 20 students participated on PJA’s cross country team. 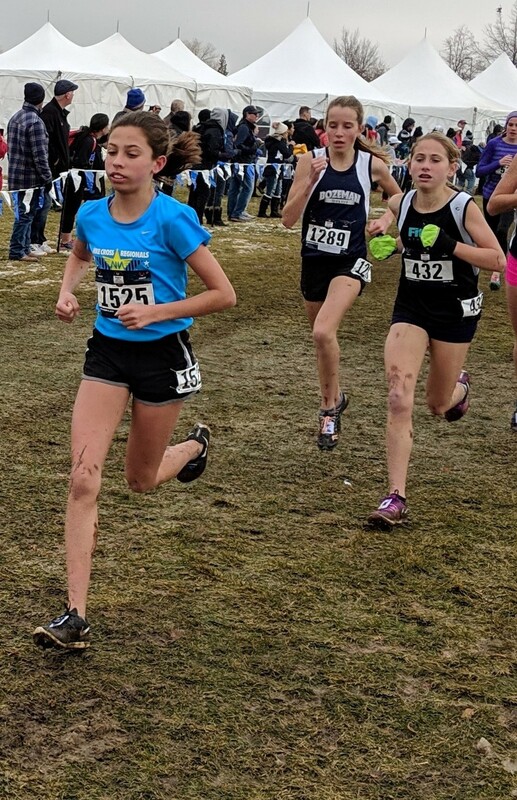 Sadie’s road to nationals began when she finished in the top 25 at the state meet in October. She then finished second in the USA Track and Field Oregon Association Junior Olympic meet at Corban University in Salem to qualify for regionals. In November she again finished second at the Region 13 USATF meet held in Yakima, WA. The top 30 runners qualified for the USATF National Championship meet in Reno. During the regular season and at the state meet, Sadie competed in the 3K. But at regionals and nationals, she competed in the 4K, which is the standard USA Track and Field distance for 13/14-year-olds. Sadie has been running and attending PJA for most of her life. Sadie has competed in several 5K races with her mom, Andrea. She started competing in cross country for PJA when she was in fifth grade. Before that she competed with the Foot Traffic Youth XC Club, which has meets for beginning runners starting in third grade. Sadie has attended PJA since beginning preschool there at age 2. I’m so very proud of you. You work hard at whatever you set for yourself. What’s even better, you take pleasure in what you do.